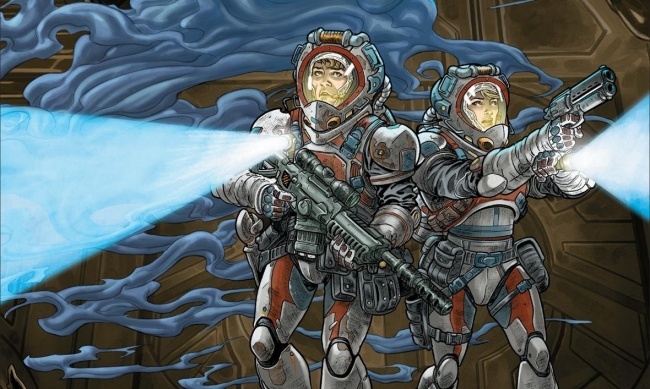 Blizzard and Dark Horse Comics have announced a new miniseries in their ongoing partnership. StarCraft: Scavengers is a four-issue miniseries from writer Jody Houser (Mother Panic, Faith) and artist Gabriel Guzmán (Star Wars). The first issue will be on sale July 25. 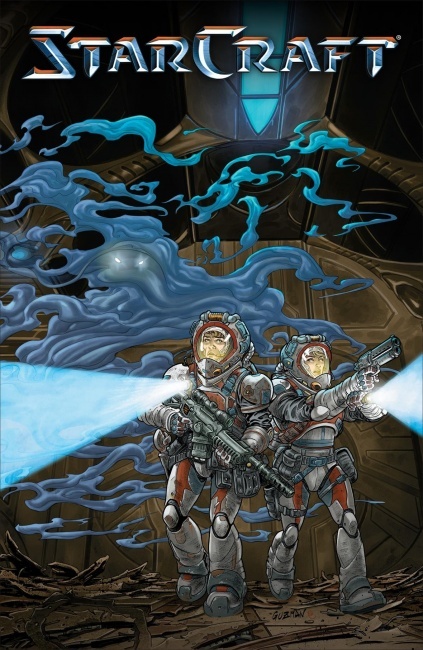 In the series, a group of terrans tries to scavenge an alien enemy’s derelict ship before its orbital decay plunges it into an uninhabited planet. Blizzard Entertainment released the StarCraft video game in 1998, and the franchise has spawned additional video games, novelizations, board games, and more. A sequel was released in 2010, with several expansions to follow, and a remastered version of the original game was released last year. The strategy game is set several hundred years in the future and chronicles an interstellar war among three species: the terrans, the zerg, and the protoss. The partnership between Blizzard and Dark Horse has been rewarding. The two companies’ recently released The Art of Overwatch and Overwatch Anthology: Volume 1 (see “Two Tie-Ins for Hit Video Game 'Overwatch'”), the latter of which has been among BookScan’s top 20 adult graphic novels for a few months (see “December 2017 Bookscan -- Top 20 Adult Graphic Novels”).